Ever look at your phone and think why in God’s name do I not have a protective cover for it? Yeah, that’s me pretty much every day when I’m slammin’ it down on the floor, rollin’ it down the stairs or very nearly letting my straighteners set up camp on it’s screen. You’d be right in presumin’ that I’m pretty clueless, as even though I ADORE MY PHONE MORE THAN LIFE ITSELF( well, who doesn’t at this age), I can be beyond clumsy. As much as my IPhone seams to have stood the test of time(touch wood), I think it’s pretty much time to ” sort my life out”(Manc slang) and buy a protective case. When I was browsin’ through google, tryin’ to find a website in which would help me not only buy a b.e.auuutiful case, but not be ridiculously over-priced too(because I’m not made of money), I stumbled across good ol’ Wrappz. This hadn’t been the first time I’d come across their brand, as many weeks ago I’d somehow popped onto their page after stalkin'(as ya do) many peoples Instagram profiles. Now, let’s all not pretend we don’t actually do this because you know how hard it is to press that back button numerous times till you land right back on your profile…shameful yet true. Anyway, in reachin’ Wrappz profile I’d noticed that not only do they provide wonderful cases, but they can do one’s that are personalised with your very own photo, design etc. If I’ve learnt anything over this past year is that most of us now are obsessed with our phones and if protecting it means to bang on a case then Wrappz is for you. Cases for Birthdays, anniversaries, random presents and more, Wrappz offers the ability to make your phone even more personal by not only being your absolute lifesaver and point of all contact(sad, yes), but one with a little extra special touch. Therefore, I present to you a little gift from the lovely people at Wrappz, not only can you gain a personalised Case (click here to view), but you can get 20% off-WIN, BLOOMIN’, WIN. To gain this treat of a discount Just enter at the till: FBFAN20. And you know what? If I’ve learnt anything recently is I seriously do love my phone that much that protection (and pretty protection at that) is key, as there’s only so many times the phone can fall untouched. And If I’m honest, I can’t be waitin’ another year with a cracked phone- Hello Wrappz you absolute lifesaver. 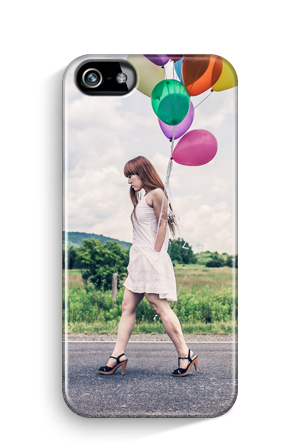 My beautiful case is on it’s way, but ‘ll be sure to post it on up soon! Next Post Aint no party like a Gin party.